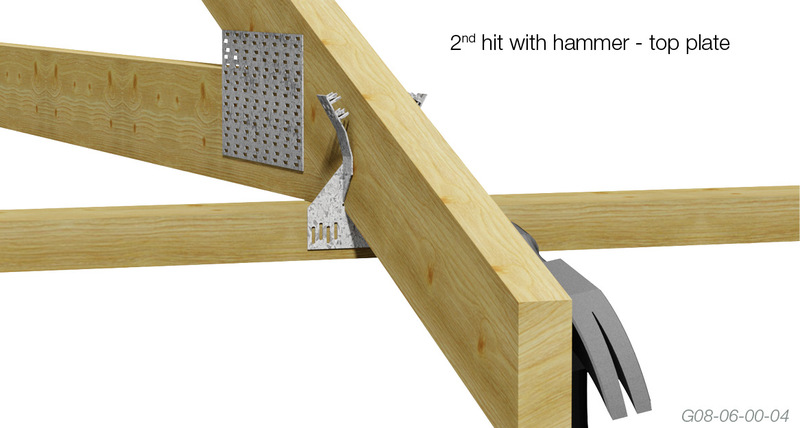 Securing timber rafters to timber top plates (walls). 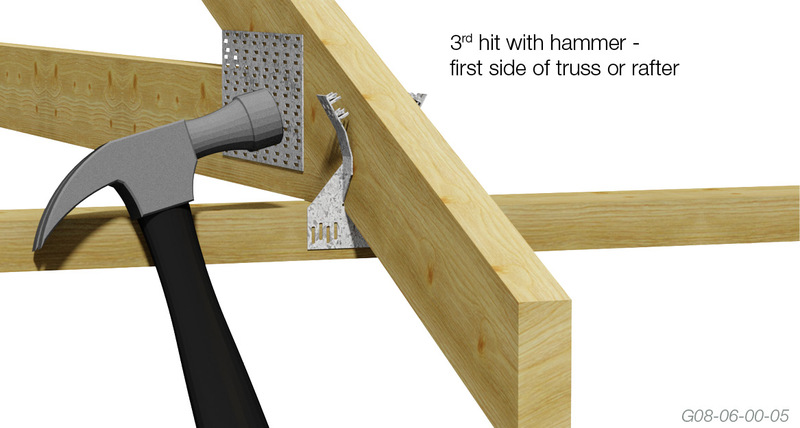 Securing timber trusses to timber top plates (walls) with the strength to withstand uplift forces from wind storms. 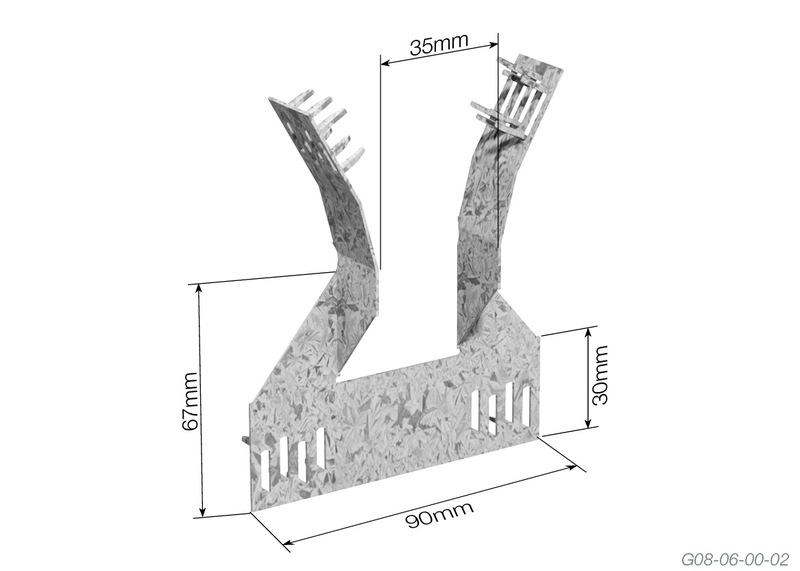 An alternative fixing to Triple Grips and Multi Grips in most cases for tiled roofs. Faster and easier to fix than a Triple Grip - no need for left or right hand grips. Single Quad Grip applied to outside of top plate. 1. Place the Quad Grip in position on the top plate (wall) to cover one or two wall plates (whichever is required). Hit with hammer on one side of the Quad Grip. 2. Hit the other side of the Quad Grip on top plate (wall). 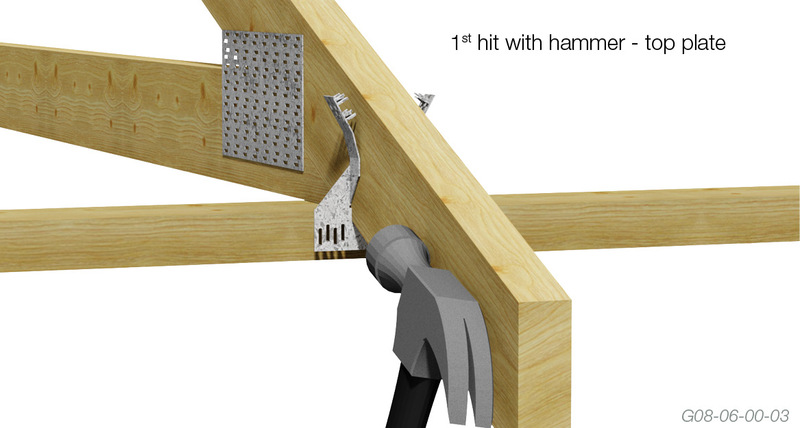 You are now ready to embed Quad Grip into the rafter or truss. 3. 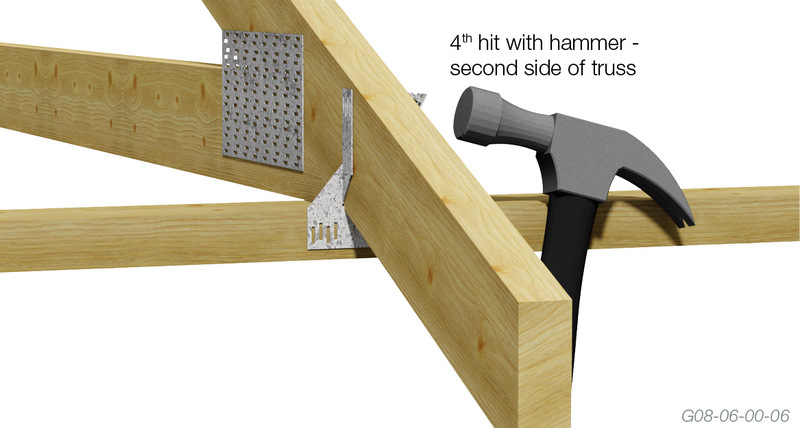 One hit on the top left hand side of Quad Grip will embed the teeth into the timber rafter or truss. 4. Repeat on the other side of the Quad Grip. 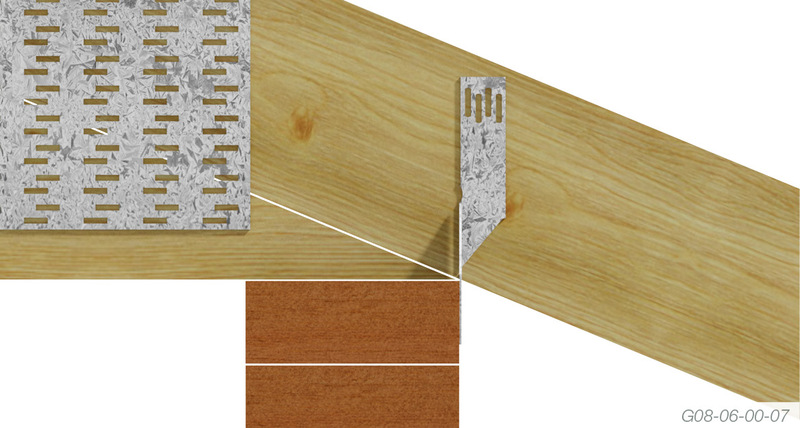 Ensure teeth are fully embedded into the timber. Check to ensure that if two top plates are used that the bottom rows of teeth are embedded into the lower of the two top plates. 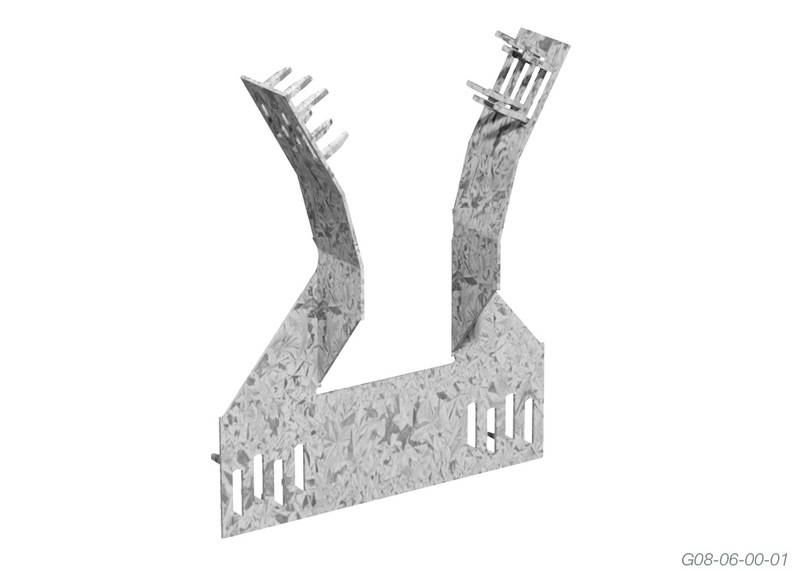 Check design details to determine if one Quad Grip is adequate per bearing point to resist uplift. Quad Grips can be used effectively with single or double top plates.